When I was a professor, a reviewer of one of my academic books wrote of the "deceptive simplicity" of my writing style. That made me smile. I've always worked hard to get to the masterful sort of simplicity on the other side of complexity, fighting for the core essence of truth. And now, I'm glad to see early readers of my short novel The Oasis Within talking about the deceptive simplicity of it. One prominent author wrote me that his intellectually advanced and quite literary teenage son had started the book, read the first couple of pages, and put it aside, saying it was "too simple." I was sorry. Then a man named Bruce, who was reportedly a longtime reader of deep spiritual books, bought The Oasis Within and began it. He emailed me and said that the opening pages couldn't command his attention and that it was probably too simple a book for him. I urged him to read on. Days later, he wrote back to say that it had become one of his favorite books of all time, and that now, he's given dozens of copies to friends, and has continued in his enthusiasm at the books of the series it begins, The Golden Palace and The Stone of Giza. <<Effusive has to be the word. Gail called. She is the lady who is renting my daughter’s house. I had given her a copy of Oasis suggesting she might like it. This afternoon she called and said she started to read it last Thursday night when her husband was watching Football. She explained that she just couldn’t get much out of it, but decided she would just push on. I figured to mention that there are some books that may just not appeal to everyone, but before I spoke, Gail continued. Soon she found she could not put the book down and that it might well be one of the most meaningful books she had ever read. It captures all of the important values that could make our lives better, and yet it is not religious. She feels every youth should get and read this book early in their teen years. But more; they should be encouraged to reread it every year to engrain and refresh this wisdom as they mature. She says her grandchildren are too young for the book as yet but will get a copy for each one as they move into their teens. I told her I will loan her a copy of The Golden Palace so she can see how a more story-based theme can carry the message in a new way to younger people. I truly feel blessed to have read "The Oasis Within". I know that I will read it again. And perhaps again and again!! Bruce, you very eloquently summed up both my reaction and my response to this book. The beauty of it is that it offers much in its simplicity. Yet, although it is simple, it is not at all simple. One must read it to know what I mean. Thank you, Mr. Morris, for writing this in such a way that it makes me wish I had had this book to read and learn from many years ago. I hope many people, both young and old, hear about your book and read it. It is a guide book one can refer to throughout life. In my mind, it is a classic. 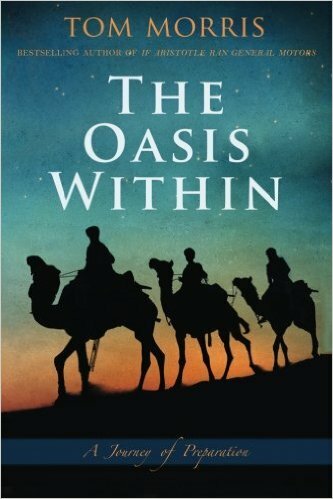 One CEO has told me that pages 5 and 6 of The Oasis Within changed his life. But he had to get through the "deceptive simplicity" of pages 1-4 to get there. 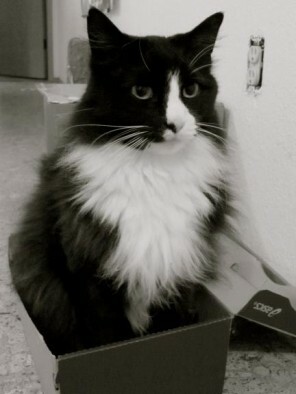 Then he saw what was really going on. I had a similar experience. These books all came to me unexpectedly, as something like a movie playing in my head, or as what Mary Shelley once described as a “waking dream.” The opening scene was of a man and a boy sitting in the sand under a palm tree, talking. Their conversation was simple. And yet, it provided a doorway that, since I was willing to walk through it, brought me into an unanticipated land of deep wisdom. And that’s the way the best simplicity can work—as a doorway to depth. But it’s up to us to use it. If you haven’t yet had the experience of The Oasis Within, The Golden Palace, and The Stone of Giza, I hope you will soon. Then, The Viper and the Storm will be available this spring, as the latest installment in the series. One book reviewer said recently that it’s The Temple of Doom and Dan Brown, and The Hardy Boys Meet Aristotle, and that when reading, he felt like he was thirteen years old again. I felt that way when writing them. I had no idea how a simple story would bring me the greatest deep wisdom of my life.